Browse our selection of new vehicles and get a great offer your next car. Our dealership offers generous new vehicle specials on a variety of new models, including the new Ford F-150 or Chevrolet Silverado 1500. 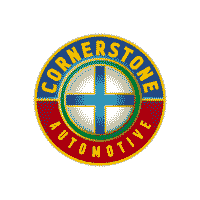 After checking out our new car discounts, visit Cornerstone Auto, located near Ramsey and Anoka, to test drive a model of your choice! Why Buy a New Vehicle From Cornerstone Auto? Contact us to schedule a test drive and visit Cornerstone Auto to see our new vehicle selection in person. If you find a model you are interested in, our financial experts can help you with the next steps!